Our sweaters are designed for pit bull type dogs with larger chests and necks. These are a pullover style with a long neck that can be pulled over their ears. Our pajamas are a pull on style made from a very soft and lightweight stretch fabric. These are slightly more fitted in the neck. These offer fuller knee coverage and are great for ACL surgery recovery. The body length measurement is the actual measurement of the pajama. 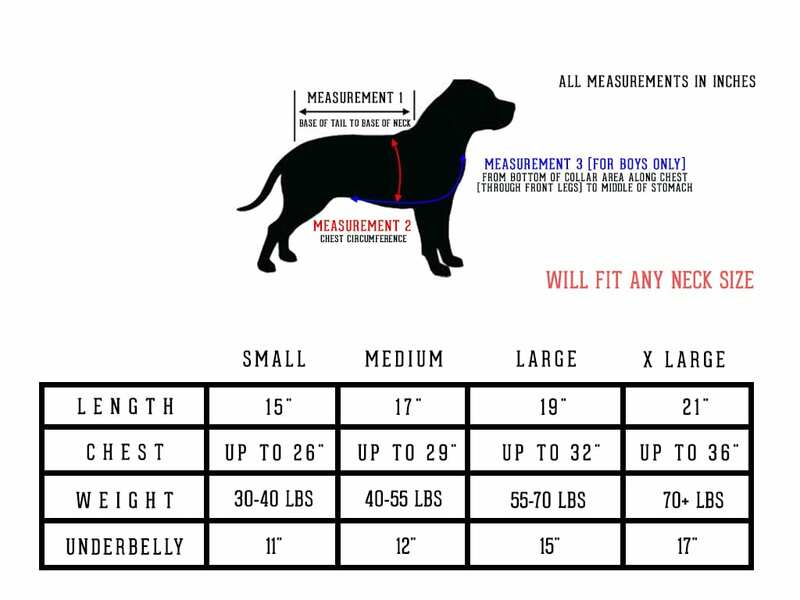 * Please note not all dogs fit PERFECT into pajamas since you need to take into consideration body length, neck size, chest and leg length. Our lightweight pullover shirts are great for year-round wear and surgery recovery. These are very stretchy and forgiving with size. These have a mid-length neck and offer fuller coverage on the belly area. Our Zip-up hoodies are designed to fit shorter in body length. 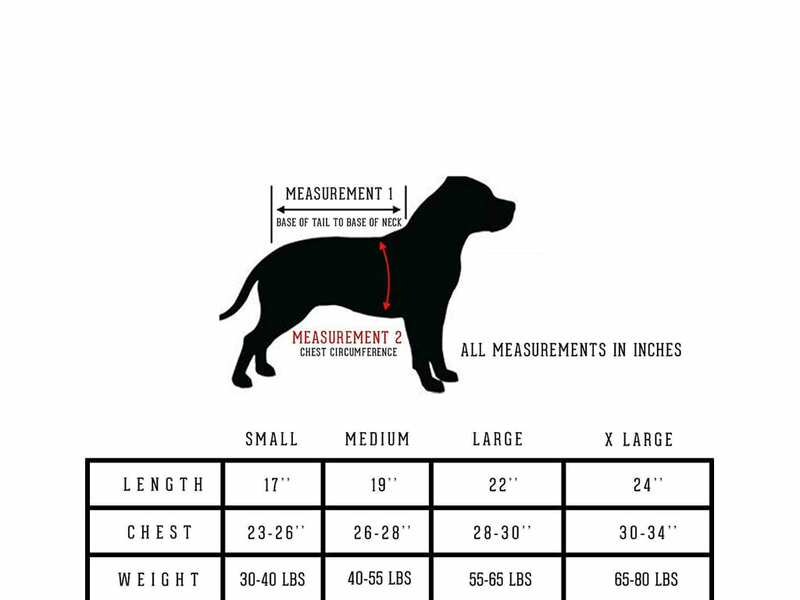 The measurement for the length is the actual length of the zip up. These are made from a stretchy sweatshirt fabric and are GREAT for dogs with very large necks and broad shoulders. Our vests are a pullover style made from a very soft and stretchy fabric that feels amazing! These fit a variety of body shapes and dogs with short legs and larger necks and are designed to be more fitted to the body.